Beef roast plus lime and cumin – drop that in the Instant Pot and walk away. Tips: how to choose ripe mango and how to choose ripe avocado. Place the beef roast into the pressure cooker insert with the hot water. Squeeze juice from one lime over the top, then sprinkle with cumin, salt and pepper. Once cooked, shred it with 2 forks. Before dinner, dice the mango and avocado and juice the remaining lime. Chop the cilantro. Mix the diced mango, diced avocado, lime juice, cilantro and salt and pepper together in a bowl. 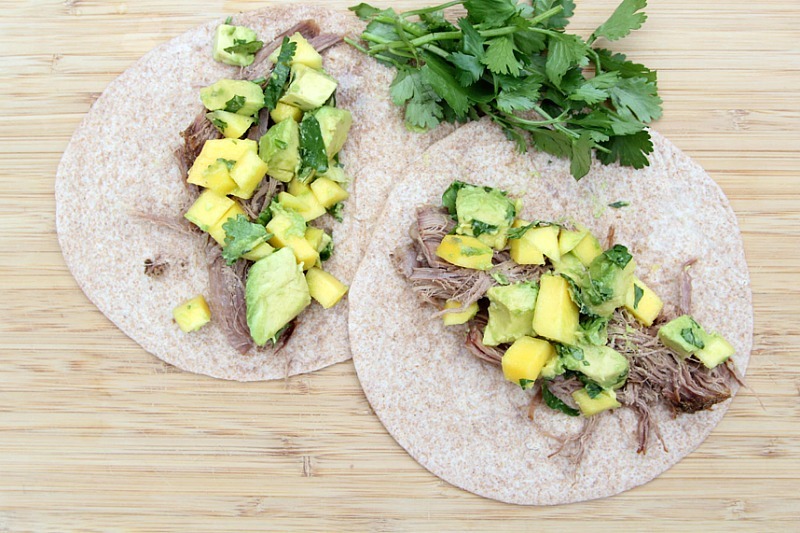 Add the Instant Pot beef into the tortillas and top with the mango-avocado salsa. 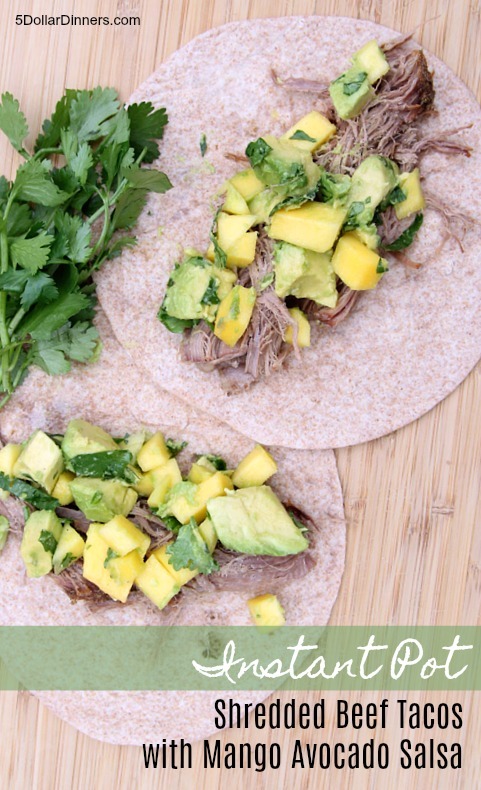 Serve Instant Pot Shredded Beef Tacos with Mango Avocado Salsa and fresh veggies. This recipe is featured on Meal Plan Monday #126.